With the cost of traditional phone lines going up and technol-ogy changing rapidly, elevator owners are using wireless elevator phone lines and monitoring systems to reduce costs. Switching to A17.1 Code-approved wireless elevator phone lines, owners are improving reliability and exceeding code requirements. In Florida, elevator phones have been mandatory on commercial elevators for well over a decade and have been required on all new elevators for more than 25 years. Traditionally, elevator owners would purchase phone line service from AT&T or third-party landline providers. Then the elevator owner would purchase a separate elevator monitoring/answering service to answer all elevator calls. This was the status quo until about six years ago, when wireless elevator phone monitoring emerged into the industry, providing an alternative to paying high costs for the elevator phone monitoring. With wireless elevator phone monitoring systems, no longer are phone lines required. The elevator phone is instead connected to the wireless communicator with back-up battery and wireless technology allowing direct communications between the elevator and the call center. Companies such as ESRM Communications also provide turnkey solutions by having their own call center and providing the wireless communications and emergency call answering in one. This provides elevator owners with a more cost-effective and reliable solution. Sunrise Lakes Condominium in Sunrise, FL, had a big problem with costs and reliability for their 206 elevators. They are a 55-and-older community, and having residents stuck in elevators with no phone was not an option. They converted all of their elevators from standard phone lines and a third-party call center to wireless elevator phone monitoring systems. ESRM Communications installed independent communicators in each elevator, got the 206 elevator phones working, and are now monitoring all the phones via a UL listed 24/7 call center. This also saved the community $7, 500 per month. In conclusion, wireless elevator phone monitoring is a growing trend, offering elevator owners an alternative to expensive phone lines. Much like the fire alarm and security industry, wireless technology is emerging as the preferred communications path by elevator owners and elevator contractors. When inquiring about wireless elevator phone monitoring make sure the company is a licensed elevator company and make sure they use a UL-listed call center with 24/7 operators. 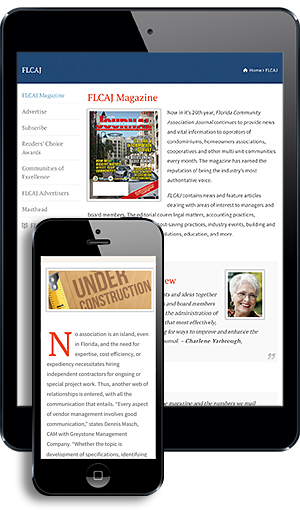 Tom Worthington is President of ESRM Communications LLC located in South Florida. ESRM Communications is known for elevator emergency communications and currently has the largest wireless elevator phone monitoring call center in Florida, monitoring more than 2,400 elevators in the state. He is a state of Florida Certified Elevator Technician and a State of Florida licensed electrical contractor. Worthington graduated from Florida State University with a bachelor’s degree in Criminal Justice and specializes in elevator emergency communications and security camera designs, consulting, and installations. For more information, call (954) 825-3226 or visit www.esrmphones.com.